Sebastian Alvaréz is just trying to hold the pieces together, to not flunk out, to keep his sort-of-best friend Wild Kyle from doing something really bad. And to see his beloved Ma through chemo. But when he meets Birdie Paxton, a near-Valedictorian who doesn't realize she's smoking hot in her science pun T-shirt, at a party, an undeniable attraction sparks. And suddenly he's not worried about anything. But before they are able to exchange numbers, they are pulled apart. A horrifying tragedy links Birdie and Bash together - yet neither knows it. When they finally reconnect, and are starting to fall - hard - the events of the tragedy unfold, changing both their lives in ways they can never undo. 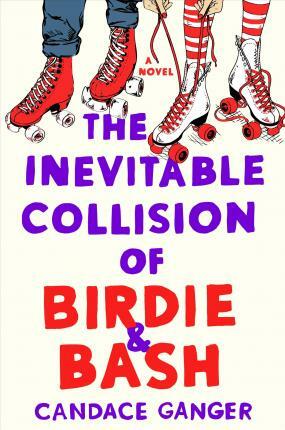 Told in alternating perspectives full of the best nerdy banter this side of Ohio, some seriously awesome skate moves, and the promise of a kiss destined to make the world stop turning, The Inevitable Collision of Birdie & Bash will break your heart and put it back together again. CANDACE GANGER is a contributing writer for HelloGiggles and obsessive marathoner. Aside from having past lives as a singer, nanotechnology website editor, and world's worst vacuum sales rep, she's also ghostwritten hundreds of projects for companies, best-selling fiction and award-winning nonfiction authors alike. She lives in Ohio with her family.